5: Zombie Lake (1981 – Spain/France). This Spanish-French effort is on the cheap side of low-budget. 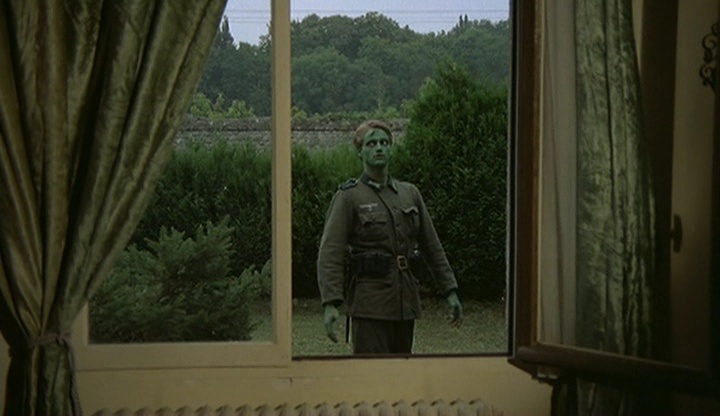 When you have no money, and it’s 1981, you resort to two things; human women are naked and Nazi Zombies are just people painted green. This movie then is 100% successful! One of a slew of 70s and 80s Zombie flicks where the poster art was far better than the movie. But isn’t the poster art just bloody great (header image, left)? 4: Outpost (2008 – UK). British indie horror has gone Zombie crazy over the past decade, much of it cheap D2DVD junk that appeals only to those humoured by ‘If Found Please Return to Pub‘ t-shirts. 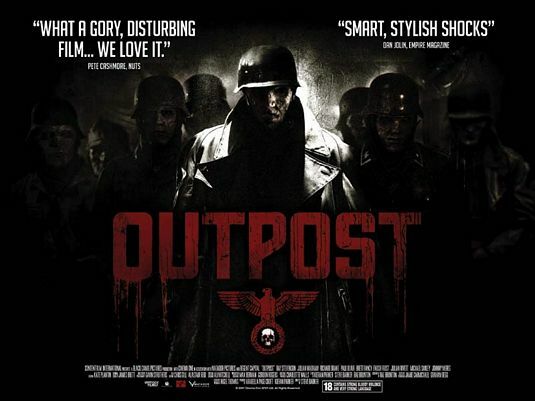 Outpost is probably the pinnacle of the phase as modern day British mercenaries discover 60 year old Nazi Zombies. Once the action goes underground into an abandoned bunker It’s pretty effective stuff. 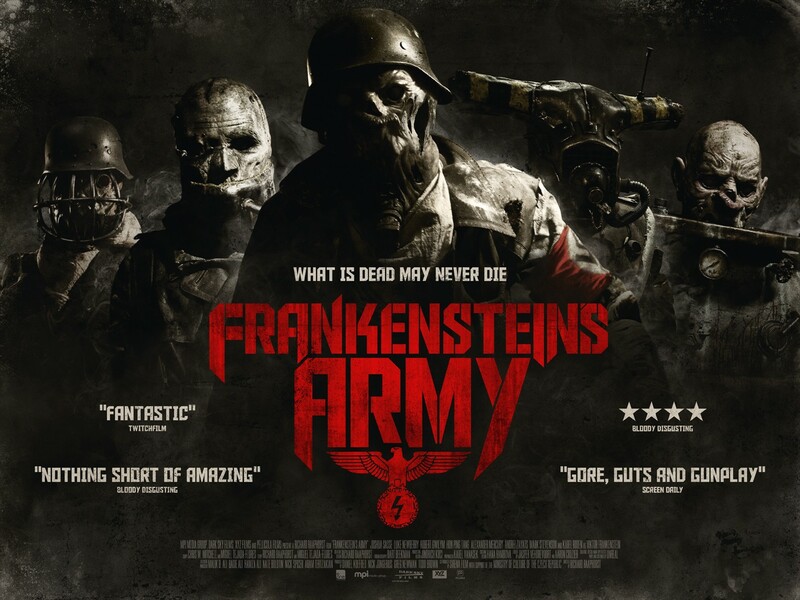 3: Frankenstein’s Army (2013 – Netherlands). While not zombies in the traditional sense, these reanimated corpses meshed with machine parts are pretty darn gnarly. The found footage angle makes no sense and the film would have been better served without it (how is this 1940s 16mm camera 16:9 footage?). Telling the story from a Soviet perspective is a neat angle too. 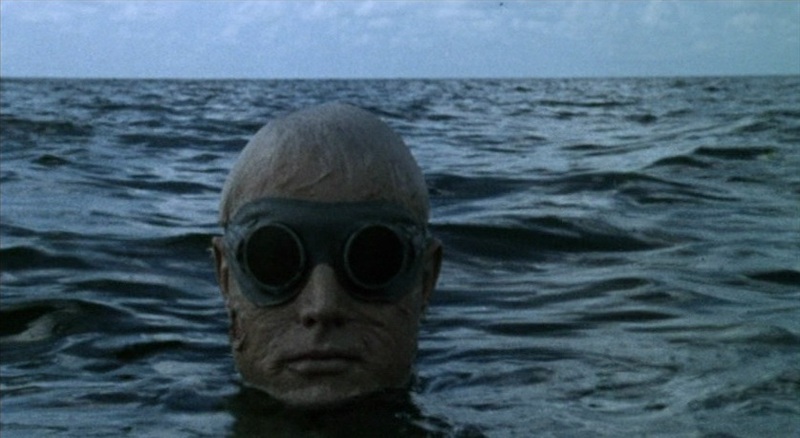 2: Shock Waves (1977 – USA). One of the first real Nazi Zombie movies (Nazi’s as a horror and sci-fi exploitation angle had been explored while WW2 was still being fought). The movie has some fantastic visuals, great zombie makeup, Peter Cushing, and Brooke Adams in a bikini. Easily the best Nazi Zombie movie. Scores highly in gore, fun, and creature effects while all the time the filmmakers keep their tongue firmly planted in cheek without descending into eye-rolling comedy. Also see: Space Nazis in Iron Sky (2012) and Vampire Nazis in Frost Bite (2012).